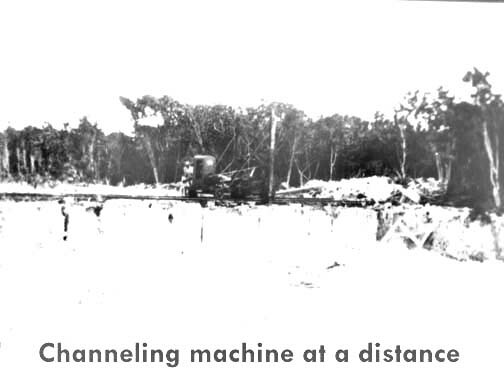 At some time there were possibly three quarries simultaneously on Windley Key. We might assume the Russell Quarry (operated by John Rowe) was first slab quarry as it used drills to score the sides to break away the slabs. To date the beginning of these quarries would be conjecture. 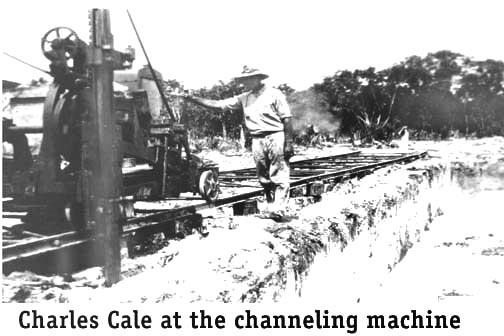 The second block type rock quarry on Windley Key was operated by Charles Cale Sr. for the Keystone Rock Company. 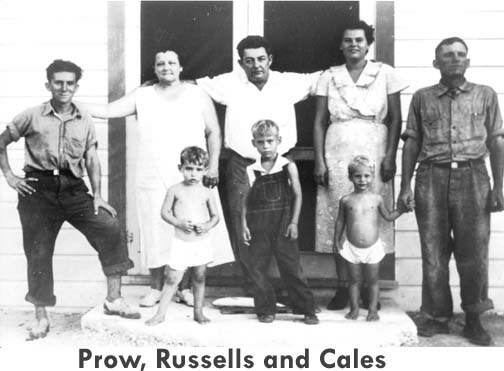 The Russells owned the Russell Quarry and the Cale children, Carl, Cecil and Charles Jr. are up front. 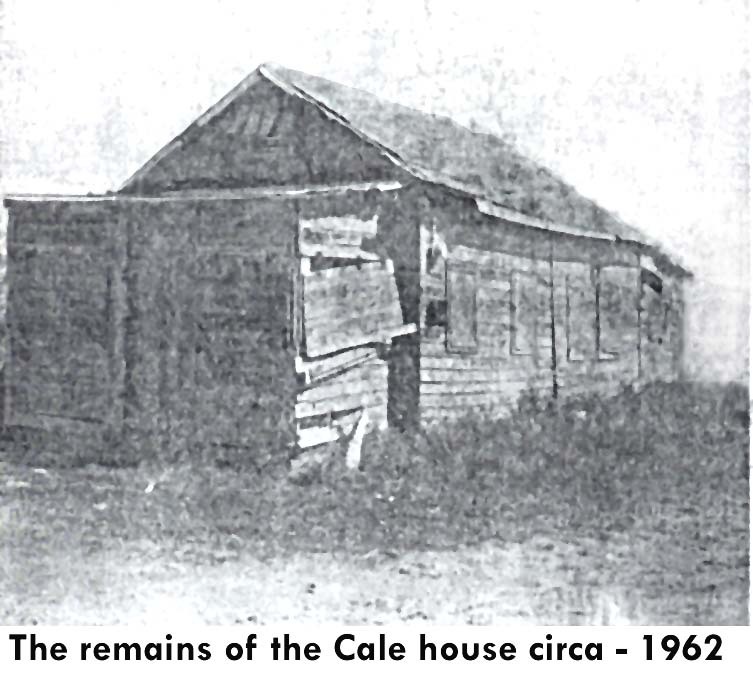 Above are the remains as seen in 1962 of the Cale home. 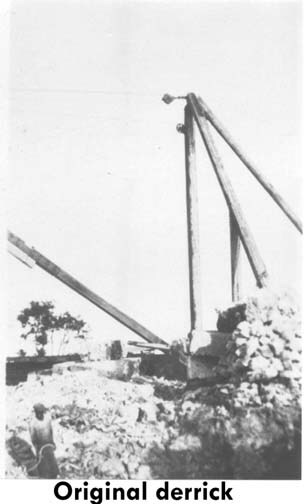 This is the second as the first was destroyed by the 1935 Hurricane. 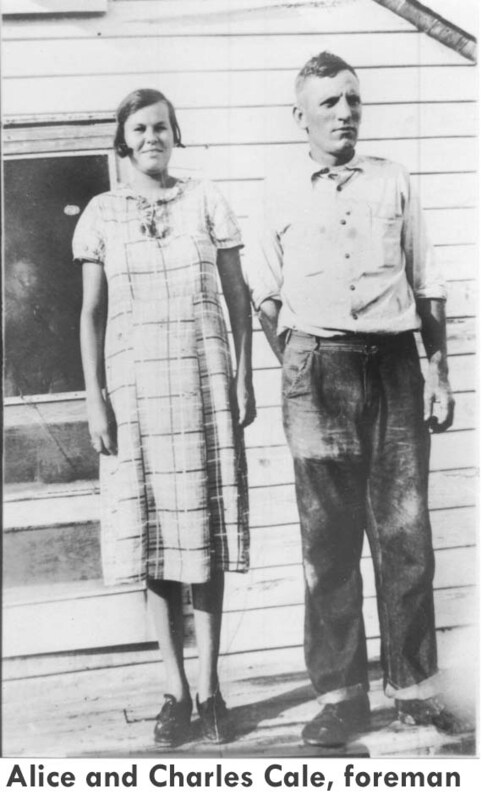 The Cale family departed in 1942 and the status of the house after that is unknown. The portion viewed is the rear after someone had added on a storage area. There were two mechanical "work horses" in the quarry. The above stiff-legged derrick and the twin-chisel channeling machine. This is a distance perspective across the pit. Charles Cale Sr. is shown along side the gasoline powered channeling machine.